Yesterday I was photographing a fungi that I think is a Honey Fungus, growing out in the orchard. I haven’t been able to get a positive ID on that one yet but Honey Monsters are on my mind so I am going to write about one that I do know. 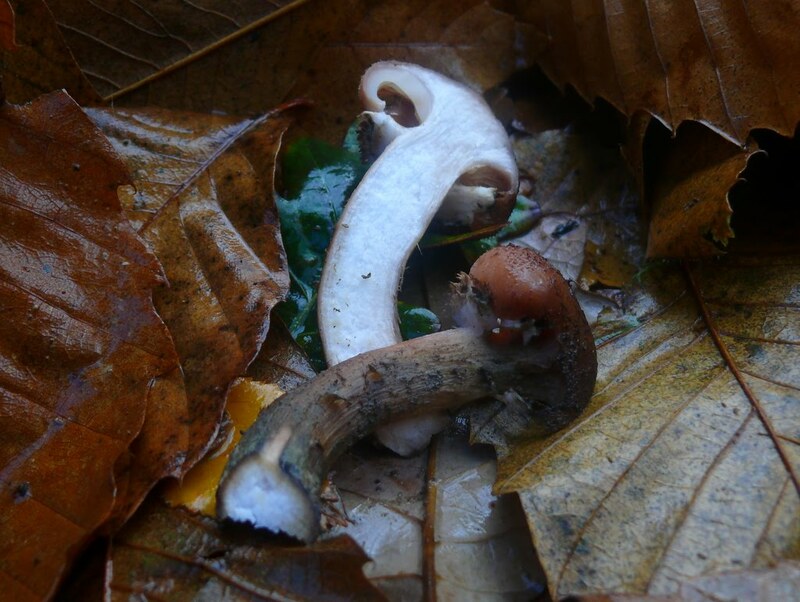 About names: There are quite a lot of different species of Honey Fungus, they used to be known collectively as Armillaria mellea but that doesn’t make much sense as they don’t all do the same things. I think that there are six species in the UK. 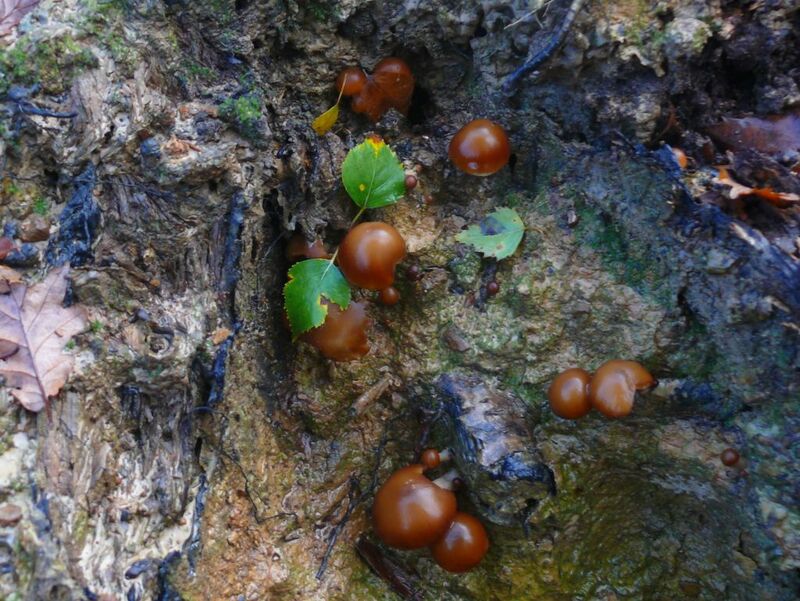 Four of them are saprobic, they do no harm to living trees, they break down already dead wood. Two of them are pathogenic, they kill trees. 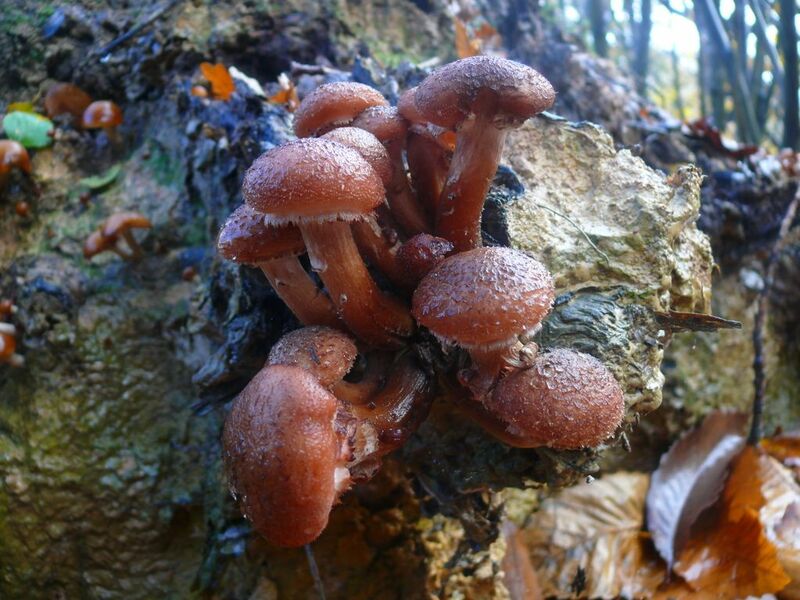 This one was called Armillaria ostoyae when I found it and took these pictures but it has had a name change since then. It is a killer. 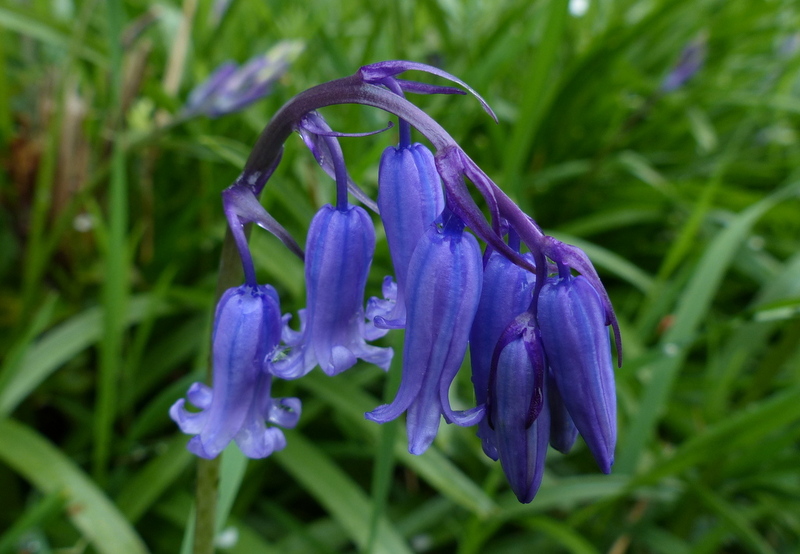 This one was growing in my wood in East Sussex. We need to understand this killer that lives amongst us. 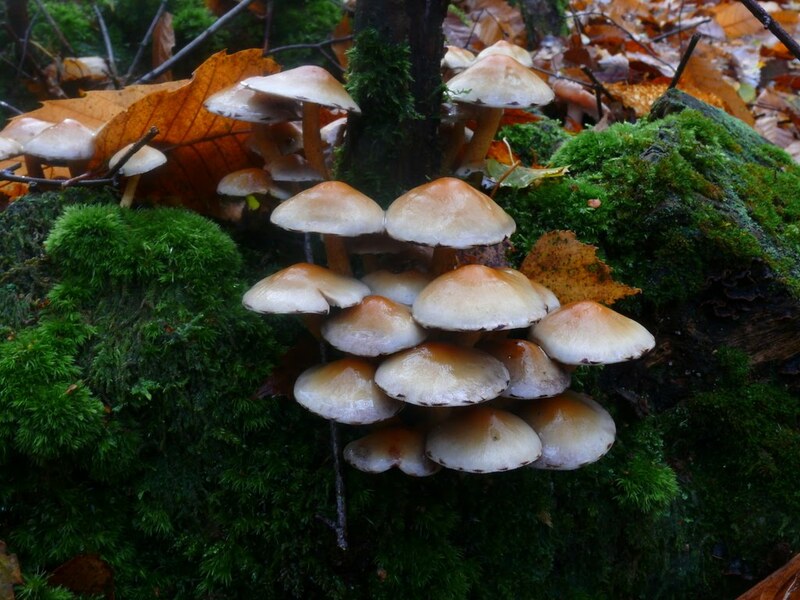 I well understand that if you have a prized tree in your garden that you find infected with Honey Fungus then you are going to be upset but on a larger scale this fungus isn’t doing any harm it is an important part of the forest ecology. 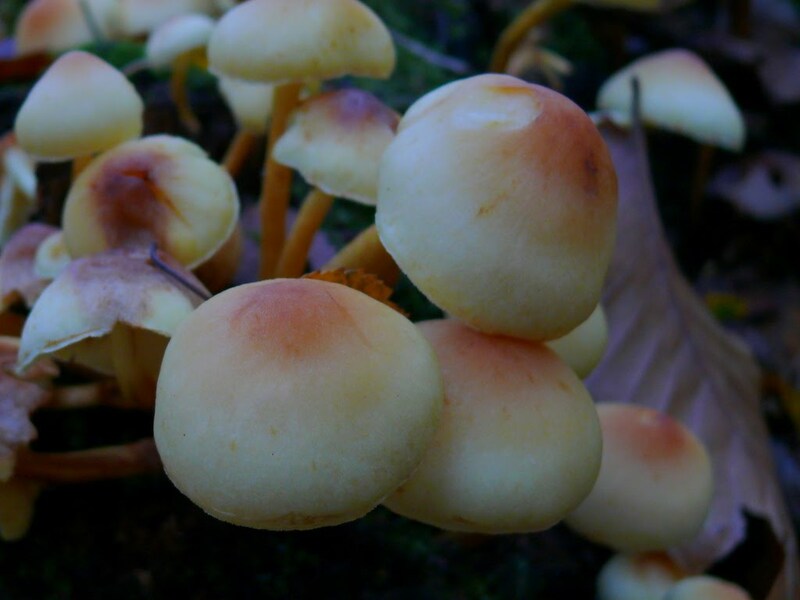 Armillaria ostoyea is a good example to talk about because there is a very famous one growing in Oregon. DNA testing has proved that the specimen in Oregon covers an area of 2,200 acres, about 3.4 square miles and is possibly the largest single living organism on the planet. It is estimated to be 2,400 years old but some people suggest it may be 8000 years or more. But this is the thing, this giant fungi lives under the Malheur National Forest, one of the most beautiful forests in the world and it has been there for thousands of years. If it was really such a prolific tree killer then you would expect it to be living under a desert by now. It seems to live in harmony with the forest. There are a couple of important things to understand about these fungi. 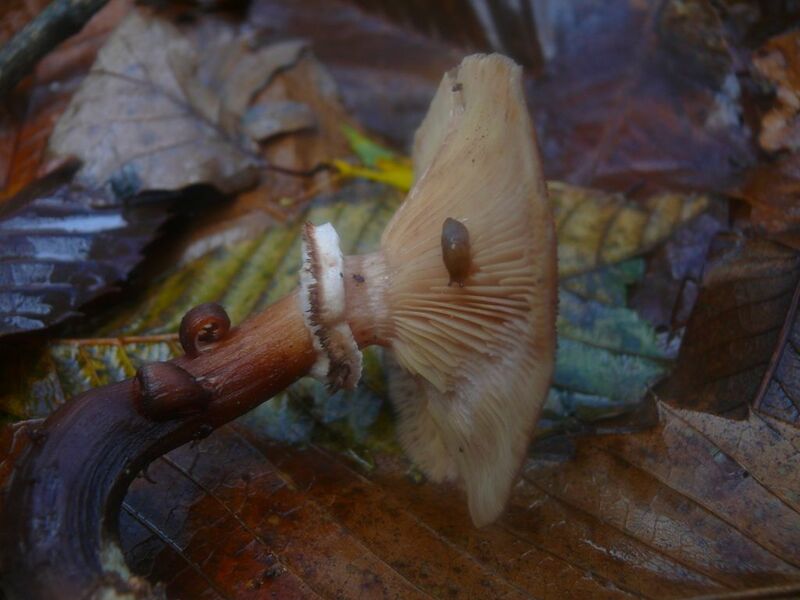 Firstly saprobic and pathogenic fungi. They break down dead organic matter. When they do this they release vast quantities of carbon dioxide that is stored in the plants. Carbon dioxide is an important ingredient in photosynthesis, the thing that plants do. Our pathogen kills living trees but dead wood is a vital part of the forest’s ecology. It is a good thing. Many different creatures are totally dependent on dead wood habitat at some stage of their lives. What the Honey Monster is doing is creating dead wood habitat but also creating clearings within the forest that allow other plants to grow, it all works to improve the bio-diversity within the forest and make it a better place and it doesn’t kill forests just trees. That information is not going to be much comfort to you if you don’t own a 1.4 million acre forest. You might be surprised how many people do. The forest that I have been talking about is a National Forest and “belongs” to the people of America. For us Brits it is more likely to be a prized Cherry tree that our Grandfather planted at he bottom of the garden. 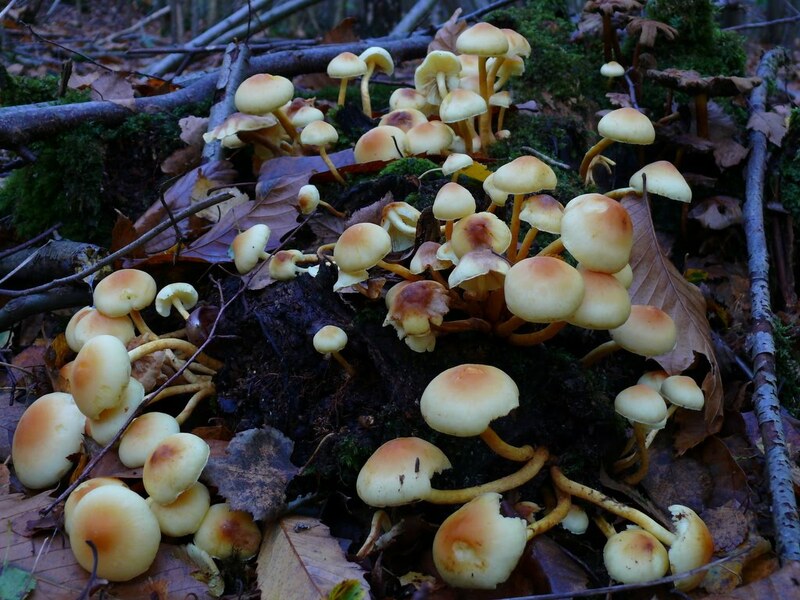 As a cure for Honey Fungus this has not been proven yet, it is being investigated. 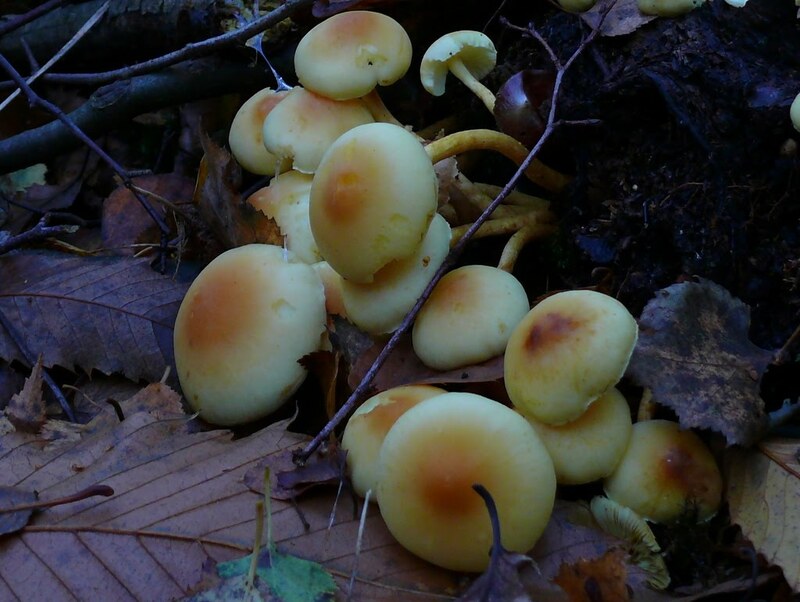 What we do know is that Honey Fungus can not survive in the presence of Sulphur Tuft, it out competes the pathogen and takes the space. It is saprobic (doesn’t harm live trees) and it is beautiful. If you have got Honey Fungus on a loved tree don’t panic. Many of them are not pathogenic. If it is then that is a more difficult situation. 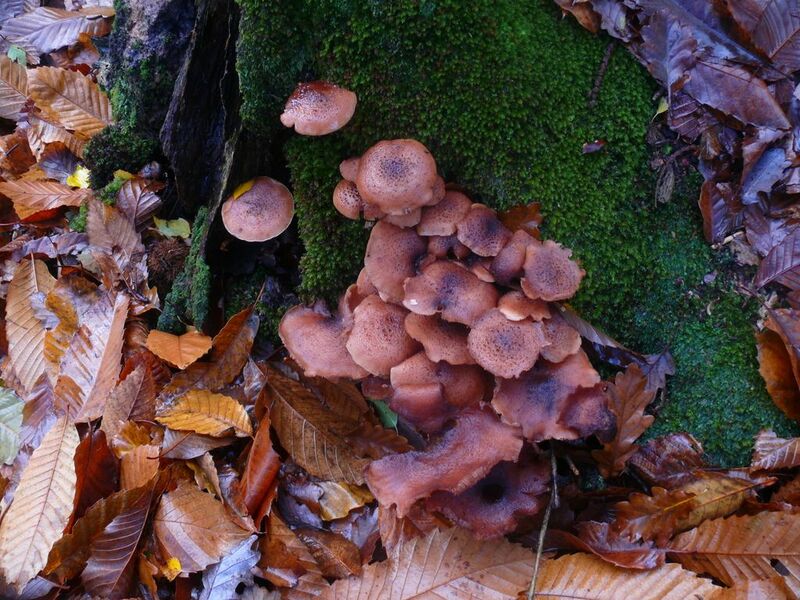 Honey Fungus is a very long lived fungus that can cover a large area. Sulphur Tuft may be your only chance. 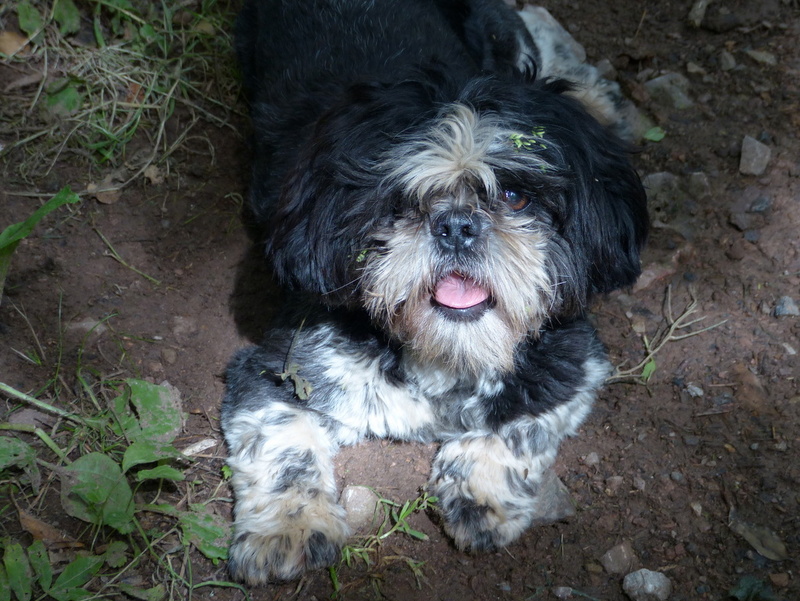 You can collect your new pet from any old woodland it grows everywhere but it is the decaying wood that it is growing from that you need, not the fruits. The fruits contain the spores which is good but the mycelium (the body of the fungus) is in the dead wood that they are growing from. 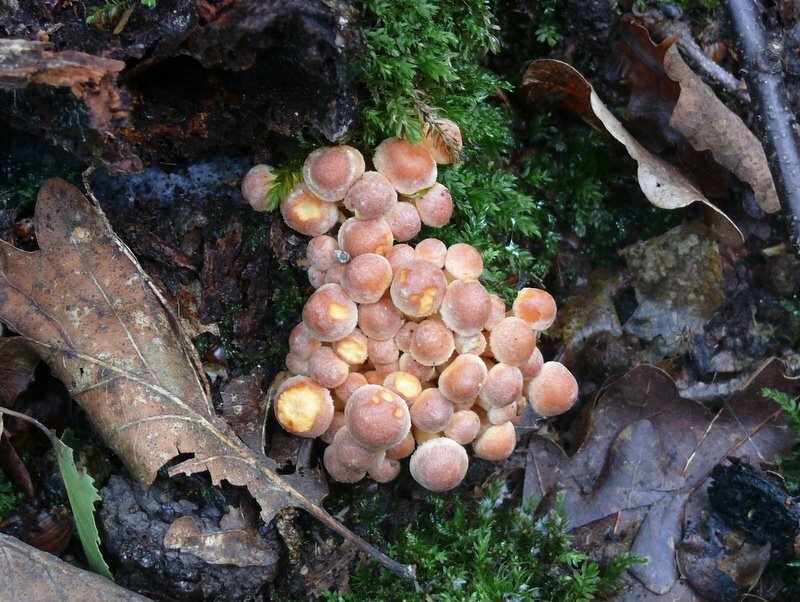 You do not need to exercise Sulphur Tuft but you should feed it with plenty of dead wood to get it started. 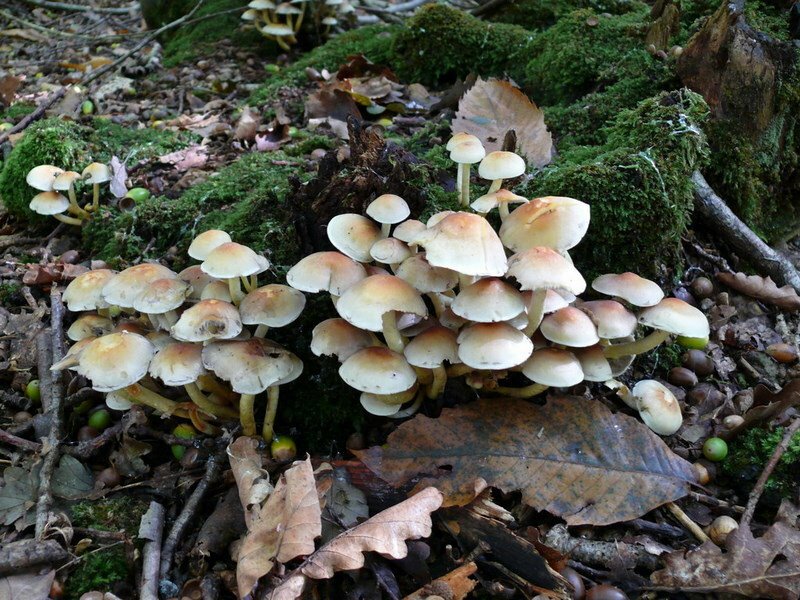 If you are really bothered by Honey Fungus then there is a product called Armillotox (which doesn’t seem to work) and there are resistant plants that you can grow. Most advice that I read is to learn to live with it. I would try Fungi. The Honey Fungus that lived in my wood didn’t bother me, I just took it as another interesting part of the wood that I was learning about. They have such a nice name! Thank you 🙂 they do have a lovely name. My name is Colin and my neighbour’s dog is Fizz 🙂 Good luck with your blog. Nice to “read” you, Colin 🙂 I’m not so much into mushrooms but as I started reading your posts I also started watching out for them in the woods, so I guess I found some new topic that totally got me! My name is complicated to memorize but they call me Becky, and my neighbour’s dog is Benni 😀 thanks! Saprobic. Good word. I think Jane Fonda did a video of saprobic exercises in the 80s. 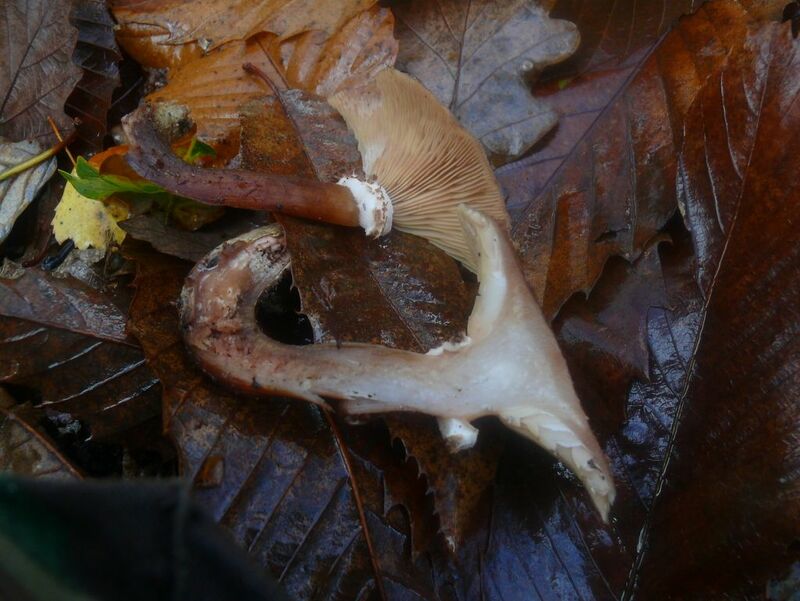 I don’t have honey fungus as far as I know. However it must be a real worry to people with wooden legs. 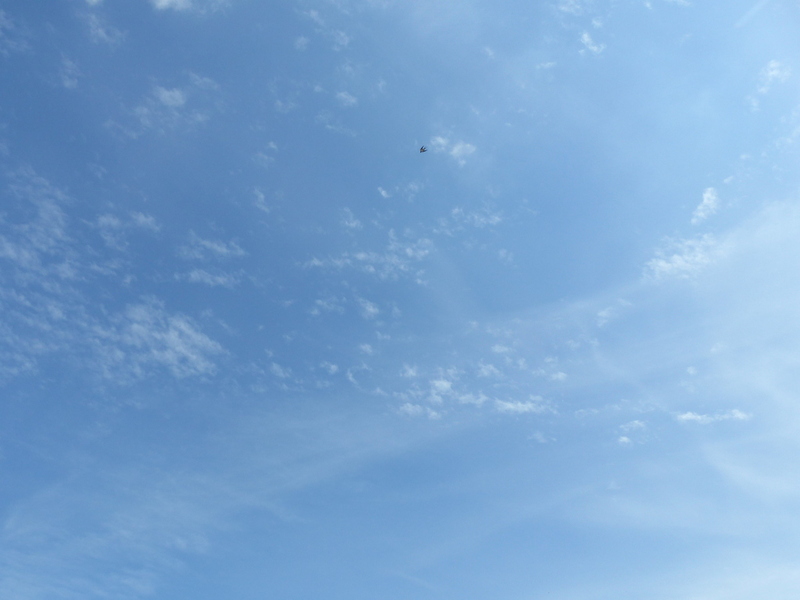 This is so interesting – I’ve learned a lot today – thanks! Nature usualy finds a balance if ppl can keep their paws off it. Thank you RR 🙂 I wish.